Join us for this exciting night and help us choosing the startups that will form ELab’s next cohort! 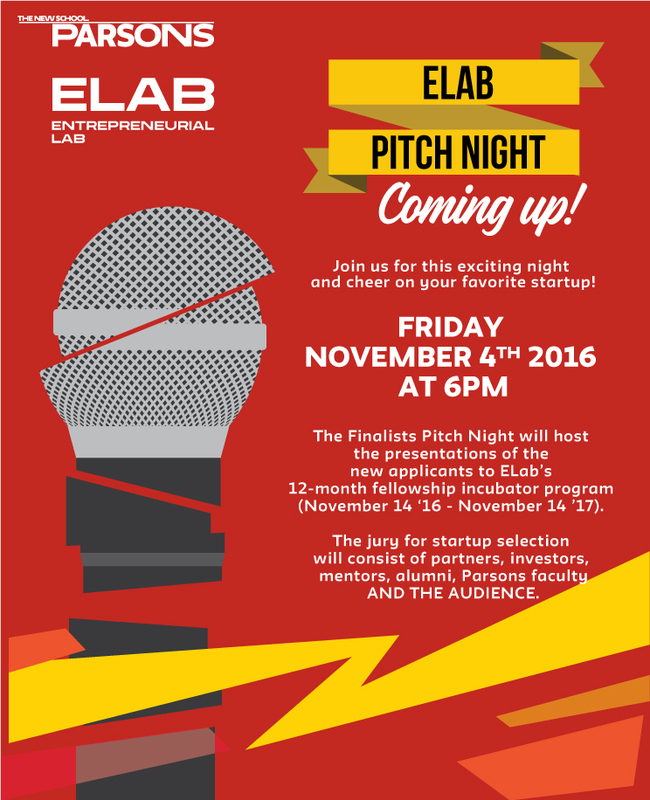 The Finalists Pitch Night will host the presentations of the new applicants to ELab’s 12-month fellowship incubator program (November 14, 2016 – November 14, 2017). The jury for startup selection will consist of a panel of judges and you all! Everyone in the audience will receive a rubric and will be able to evaluate the presentations. Looking forward to seeing you there and let’s wish them all the best of luck!